Critics like Maureen Dowd of the Times live in an Oz-like dream world. 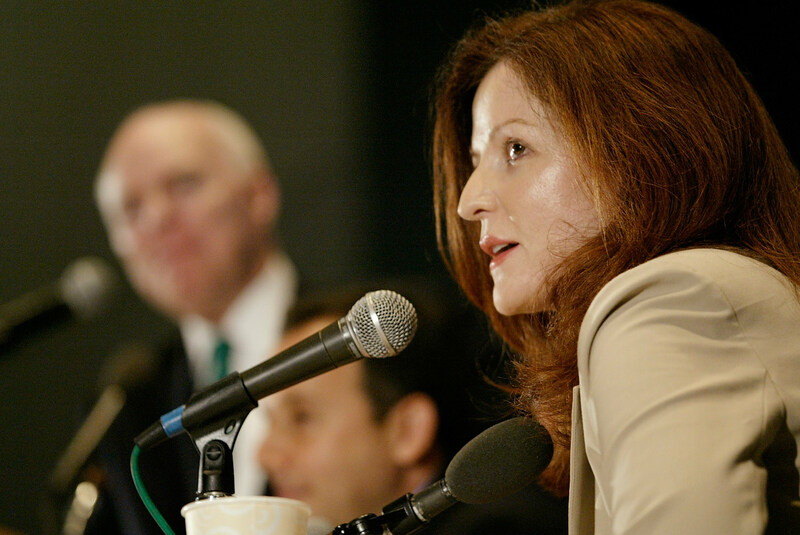 It’s hard to say that Maureen Dowd’s column is an embarrassment to political punditry given the state of the profession, but it is rapidly becoming one to the still-great newspaper that carries it, The New York Times. Actually, it’s called fantasy, but this view has become so common in the mainstream media that the White House Correspondents’ Association should probably have given out an award for it last week at its nauseating “nerd prom.” (Call it “The Broder.”) That this fantasy has been thoroughly and repeatedly debunked—most recently by Norm Ornstein in The National Journal, who noted that “LBJ and Reagan had willing partners from the opposite party; Obama has had none”—has made no impression on the pundit corps, whose prejudices Dowd distills in her columns. Moving along the sports spectrum, Dowd instructs Obama to “take a lesson from Adam Silver, a nerdy technocrat who, in his first big encounter with a crazed tyrant, managed to make the job of N.B.A. commissioner seem much more powerful than that of president of the United States.” (Note the use of the journalistic weasel word “seem” here, used almost always when no evidence is present to back up a journalistic complaint.) Does Dowd believe that a president somehow has the power to fine Bashar al-Assad and/or Vladimir Putin $2.5 million and ban them from their respective positions for life? By way of fair-minded expert sources, Dowd consults that disinterested observer, Mike Murphy, while failing to note that his résumé includes stints as a campaign strategist and media consultant for both John McCain and Mitt Romney. Murphy helpfully explains that being president is “not like the campaign because you have ‘bigger problems than a will.i.am song can fix.’” Next comes the surest sign one can find that Dowd was facing a deadline without knowing how to fill her 800-word quota: a shout-out to her buddy, New Republic literary editor Leon Wieseltier, who was making, by my count (according to the columns available on NYTimes.com), his thirty-third appearance as the equivalent of a Team Maureen relief pitcher. What does the great man (whom David Brooks also saw fit to quote in his own column a few days later) advise? Apparently, the “oppressed and threatened swaths of the world are jittery and despairing ‘because the United States seems no longer reliable in emergencies….’” (Note again the weasel word “seems.”) Nowhere, alas, does Dowd appear to have inquired how Wieseltier sourced his scoop regarding the feelings of the world’s “oppressed and threatened swaths,” nor what these otherwise voiceless billions would like Obama to do to end the violence in, say, Syria, Iraq, Ukraine or the US House of Representatives.